OK guys had some tiem today to add yet anouther rumion mod..
the front Grill Corolla emblem.. Its a Huge C if you look at it good.. 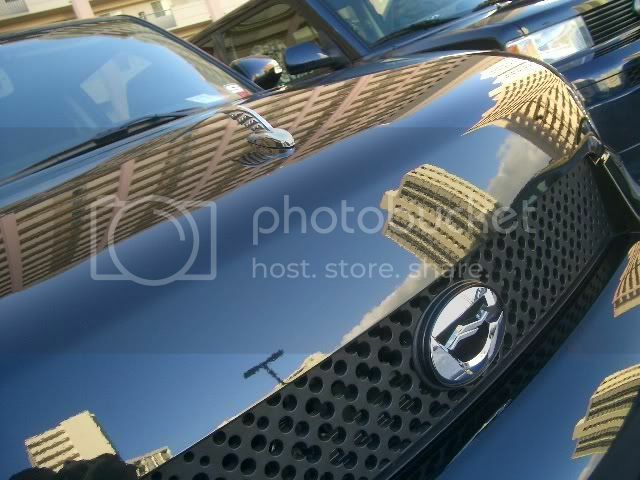 There was some cutting and grinding and to makeit fit the OEM XB grill.. Morelike hacking up the center part of the grill to make it fit like factory..
Are you going to keep those grilles or go w/ something chrome? 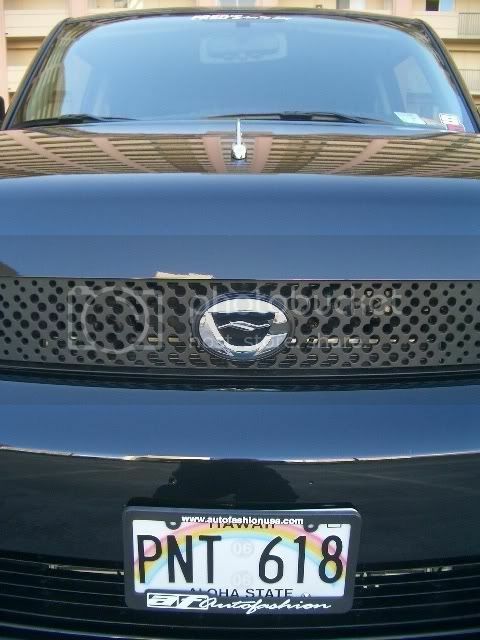 im am making a custom grill but never had time to finsh it.. But than im also waiting to see what JDM kits comeout for the Rumion. 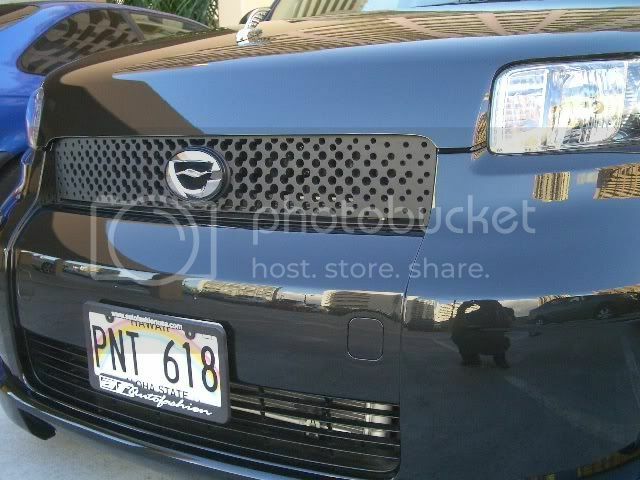 Hopefully a Garson kit if they make it.. the grill in intergraded with the Rumion bumpers. wing not ready yet.. painted it today but sometihng went bad with the paint.. I dontknow if inJapan thepaint they used is the new water based paints.. sprayed it and i thought it was all done than it started cracking and pealing.. had to dry it and sand down the whole wing again.. I was going to repaint it today again but its a holiday and paint shops all closed. I dint want to use the same batch of paint becuase i dont knowif thepaint was bad or it was what the wing waspainted with.. I'm starting to wonder if more people start getting Rumion parts, if I should have a forum for that... How hard is it to get those parts? Do you have a connection? Are you going to Japan yourself? 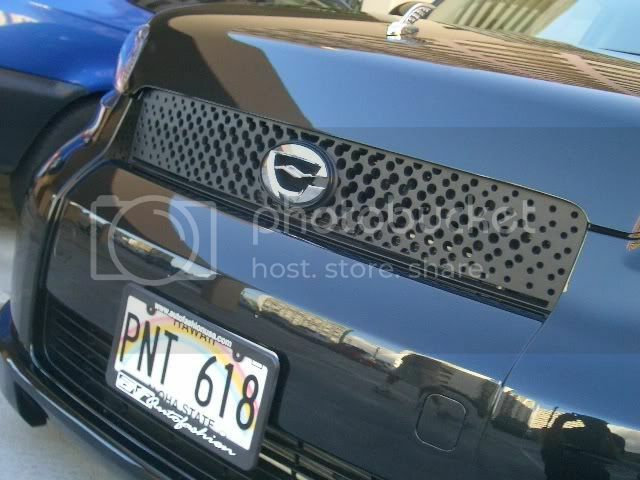 Where could I get the front grill from? that is a really clean lookin' xB ScionScene! got any more pics for us to see?